GREAT VALUE FOR WELL MAINTAINED 2/2/2 home on oversized lot in award-winning Del Oro Groves. Tile roof, terrazzo floors, hurricane shutters, HVAC 2018, concrete block construction, sprinkler system for newly sown St. Augustine grass, fenced back yard with gates on both sides ,and natural gas into house for range/oven and tankless water heater assure energy efficiency. In addition, the new IKEA kitchen is a cook's delight convenient to the open living space of dining/living room . The Florida room opens to the spacious back yard which also has a patio/deck for grilling or sitting outdoors. Closets abound for storage, and a fire safe is included with the purchase along with 2 refrigerators, and washer and dryer in the interior laundry room. 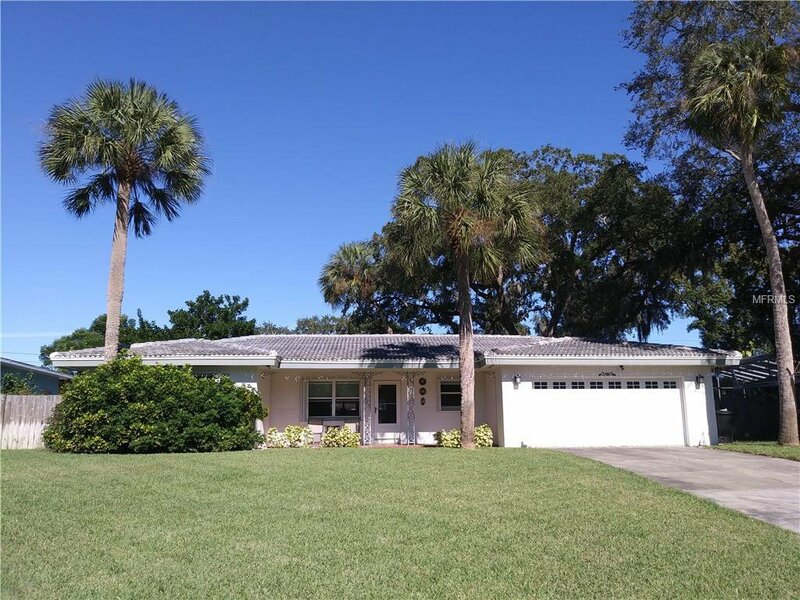 Call today for appointment to view and buy this well-built home located near parks, bike/hike trails, Tampa Bay, Ruth Eckerd entertainment center, and within minutes of 2 airports, shops, restaurants, and schools. Listing courtesy of BHHS FLORIDA PROPERTIES GROUP. Selling Office: BHHS FLORIDA PROPERTIES GROUP.